The seasonally arid tropics is an area where the rainfall is notoriously unreliable in its intensity, duration and location. 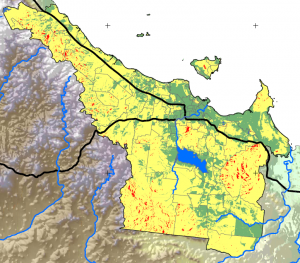 The climate of the area is dominated by intense rainfall events occurring throughout the summer months (wet season). These rainfall events are often highly variable with the majority of the rainfall occurring in distinct, spatially separated cells across the landscape. Often these rainfall events result in large floods, and have threatened communities throughout the nation. C&R Consulting have the expertise required to: assess the factors governing the stability of levees used to provide flood immunity against specified events (e.g. 1:100 ARI); conduct detailed field research and data collection; and build detailed flood models. We also conduct statistical investigations on extreme evens like fires and floods, and can provide bushfire hazard assessments and management plans. Our numerical analyst, Jasmine Jaffrés, can help out with any questions you might have regarding flood analysis, or contact Matt Knott for a discussion of bushfire services. C&R Consulting were commissioned by Hancock Prospecting to review the geomorphological and flooding assessment of Lagoon & Sandy Creeks to determine any past indicators of flood events or extreme flows. We undertook a thorough climatic analysis to characterise the general discharge patterns applicable to these catchments and statistically analysed various ARI events (i.e. the 100 year, 500 year and 3,000 year events) to quantify the uncertainty associated with responses. We coupled these methods with a soil stability assessment along the entire length of the Alpha Rail Line (250 km of black soil plains), and a study of the long-term weathering and geomorphology. The recommendations to our client identified the most stable soils and geological structures, guiding the location and construction of the tailings dam. 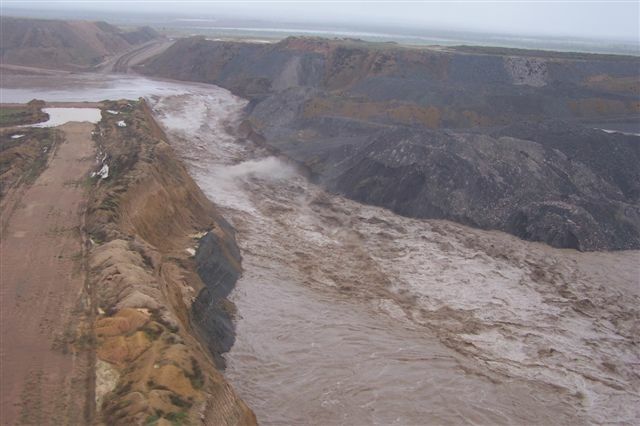 Yarrabee Coal Mine commissioned C&R to analyse areas at risk of flooding prior to the 2011-2012 wet season, to strengthen mine flooding resilience. 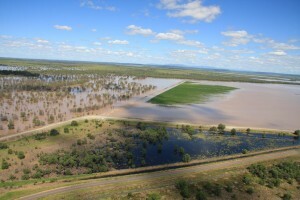 We used our customised rainfall-runoff model for Central Queensland, knowledge of uncertainties surrounding the 100 year ARI rainfall/flood event, and two-dimensional modelling (TUFLOW) to quantify the flood level. 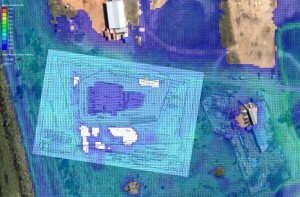 We also provided the client with a clear quantification of the levels of uncertainty within the simulations, permitting Yarrabee Coal Mine to choose the level of certainty required for management options. Townsville City Council requested that C&R and Flanagan Consulting Group (FCG) prepare a Bushfire Hazard Study for the Townsville Local Government Area (LGA). The study aimed to provide the council with greater understanding of the potential risks of bushfire within the LGA, including detailed knowledge of vegetation types and climate characteristics. Through conducting a Bushfire Risk Assessment , Bushfire Hazard Assessment, and Community and Infrastructure Vulnerability Assessment, we gave the client a complete picture of bushfire threat. We also incorporated detailed spatial information in the outputs, with current development approvals involving land clearing, and mapping of vegetation type and bushfire hazard risk. We ensured our recommendations were in line with the review of the 2009 Victorian bushfire disaster, and relevant to the local Planning Schemes. C&R provided Emerald City Council with an evaluation of the 2011 flood caused by the overtopping of the Fairbairn Dam Spillway. This project involved: on-ground evaluation of the upper Nogoa River catchment to interpret geomorphological evidence of flood levels (e.g. debris, scour and channel migration); detailed modelling of the Fairbairn Dam spillway overflow through the Emerald township using the two-dimensional TUFLOW model; and combination of anecdotal, geomorphological and measured information to determine the true extent of the flood. We privided the council with recommendations relating to geomorphology, stream stability and hydraulics aimed at increasing the effectiveness of infrastructure to convey floodwaters. 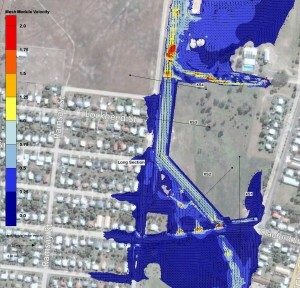 C&R regulalry undertake localised flood modelling to support development applications throughout Townsville. Depending on the nature of the proposed development, these assessments can be undertaken relatively quickly, or can be fully-detailed flood investigations of urban areas. Regardless of the scale of the investigation, C&R’s knowledge of flooding gained from other areas in Queensland are applied to these investigations to provide the client and the regulator with the highest certainty possible. C&R has also conducted numerous individual flood studies for proposed developments around Emerald. 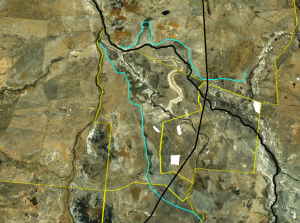 These projects typically involve: analysis of the catchment surrounding the proposed development and the creation of a Sub-Model of the Nogoa River using the two-dimensional TUFLOW model; detailed modelling of the flow of the Nogoa River downstream of the Fairbairn Dam to predict flows on site; inclusion of the proposed earthworks and buildings within the model; and analysis of the effects of the development on adjacent blocks, both upstream and downstream, during the maximum recorded flow of the Nogoa River i.e. the 2010/11 flood event. All our clients are supplied with thorough and practical recommendations, with advice on mitigating potential adverse effects of their proposed developments.